The event to fit this sensational headline has not yet occurred, But here is the text of a letter I sent to Mitt Romney to coincide with the publication of my pamphlet Hi! My Name’s Richard And I Am NOT A Mormon. I am enclosing an advance copy of my forthcoming pamphlet “Hi! My Name’s Richard And I Am NOT A Mormon”. I sincerely hope that it will be of value to you. As you will see, it suggests to all Mormons that they deserve something better than a church which was founded in fraud, steeped in sexism and rooted in racism, and which habitually lies about its past. The pamphlet invites them all to give up Mormonism for six months, and see how they feel. It seemed right to offer this invitation to you, as the most famous Mormon in the world. A six months sabbatical would take you through the entire Presidential campaign, and it would certainly benefit you politically. You acknowledge this implicitly by suppressing all mention of Mormonism in the biography on your official campaign website, although it has played a major role in your life. You would be spared the necessity of explaining to voters from all other Christian faiths why your church considers their beliefs an abomination and why they are set to languish in spirit prison after they die. For Roman Catholic voters, you would no longer have to explain or justify the posthumous baptism of the late Pope John Paul II. Do you think that his spirit was grateful? Did he say: “Gee, I wasted my whole earthly life as a Roman Catholic and what was I thinking of to become the Pope”? You will not have to explain to any voter why you believe that ancient peoples succeeded in reaching the American continent from Israel in submarines carrying livestock, and whether they crossed the Atlantic or the Pacific for this purpose. You will not have to explain the reference to elephants in the Book of Mormon, and whether these were already living on the American continent or were part of the livestock brought over in the submarines. You will not have to explain a mass of other assertions in the Book of Mormon for which there is no objective evidence and which nobody believes except Mormons. As a former management consultant, you would no longer have to explain your faith in a God whose incompetence and negligence you would condemn in a CEO. If Mormon history were true, God twice sends His Son to reveal His truth and His will and establish a church to propagate them. Within a generation of Jesus Christ’s first mission, that church collapses into error and apostasy. As to the second, American, mission of Christ, all records of it disappear for fourteen hundred years while God cannot find a single righteous person to whom they may be revealed. Meanwhile, Christian churches become established in the New World with all the errors and apostasies of the Old World. In spite of Joseph Smith and all the other chosen Prophets, the Mormon Church – God’s chosen Church – is vastly outnumbered today in the Christian world by other churches with false beliefs – and getting more outnumbered every day. In Woody Allen’s words, the Mormon God is basically an underachiever. However, it would be wrong to expect you to abjure Mormonism merely out of political expediency. I believe that you and other Mormons would lead happier and more productive lives without the burden of a church which makes oppressive and outrageous demands on your lifestyle, your intellect, your heart – and your money. If you wish to continue tithing, you will be free to contribute to famine relief or cancer research, and a host of other causes that do good in the world, rather than pay out to a bloated but secretive financial corporation which does not need any more money. (If you have any knowledge of the extent of Mormon holdings you may care to share this with the American people, who subsidize the church through the tax system). As an ex-Mormon your social life would improve. You might enjoy tea or coffee, or even an occasional alcoholic drink. You will not become addicted or an alcoholic. You will not have to wear peculiar undergarments. You would not feel uncomfortable or inhibited in the presence of women who work by choice, or practising gay people. You would be free to judge everyone you meet as people, not by the labels assigned to them by the Mormon church. Above all, you will be free to think for yourself and not be forced to believe in nonsense peddled by self-proclaimed Prophets who are either obnoxious or third-rate. You may well free yourself of a deep tension in your life. Everything I have read about you suggests that you are a pragmatist, with a profound belief in evidence-based solutions for problems in business and government and even everyday life. But your faith requires you to abandon all evidence, all reason, all normal rules of logic and inference, and rely entirely on unsupported and unchallengeable revelation. Suppose that a man offered to invest all your money on the basis of divine guidance on markets which he receives from magic stones in his hat. Would you accept that offer? If you would not give this man your money why do you entrust him with your soul? I believe that outside the Mormon faith you will be able to find a belief system, Christian or otherwise, which integrates all the parts of your life without abandoning any of the basic values which you profess. All of these arguments and many more are expressed in the pamphlet. If you would like any further copies, I will gladly send them to you. “Hi! My Name’s Richard And I Am NOT A Mormon” is published by Bearmondsey Publishing and on Kindle Amazon. Richard Heller is a British-based author and journalist, and founder of the Facebook Group “Please Don’t Baptise Me As A Mormon when I’m Dead.” He was a columnist on Britain’s The Mail On Sunday for many years and later on the London Times. He was a finalist in BBC Television’s Mastermind quiz in 2008, answering questions on W C Fields, Napoleon’s family and the Rodgers and Hart songbook. He was joint runner-up in 1996, answering questions on President Harry Truman, British politics between the wars and the great cricketer, Sir Garry Sobers. From 1981 to 1983 he was chief of staff to Rt Hon Denis Healey MP, then Deputy Leader of the British Labour Party. He has worked in the movie business, in this country and Hollywood, and contributed additional dialogue to a motion picture called Cycle Sluts Versus The Zombie Ghouls. 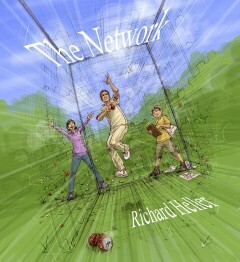 He has written two novels, A Tale Of Ten Wickets and The Network.